Our dog decided to hunt for bacon in our wall. Posted June 23rd, 2013 . In the wall!!! Lol. But just look at that face!!!! Hate to spoil the story, but might he have been going after a mouse? 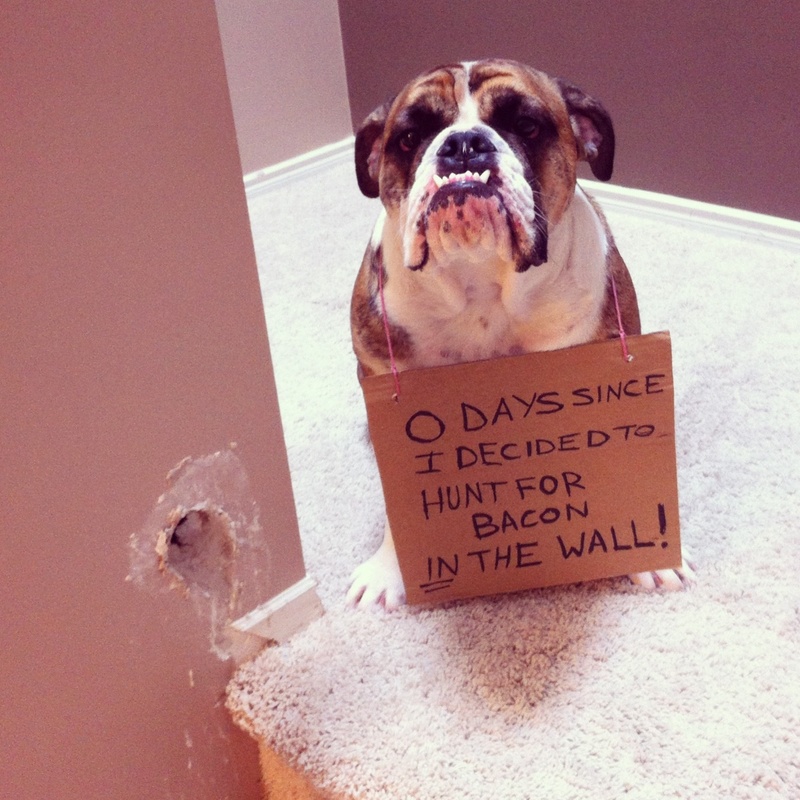 I’d say it’s your fault for having a bacon colored wall : ) That’s some funny stuff, what a face! I can see a bulldog faceprint at a baroo-angle of ¬ 40′ ! 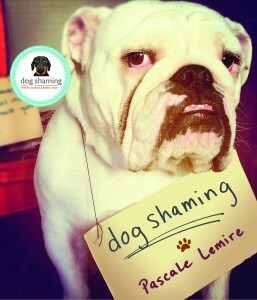 Shame for shame…..he is not done yet…….love him more for me. There is no gentle way to say this…is it possible there is a critter in your wall? A bacon scented mouse, mayhaps? Poor baby…..tell them to feed you!